• Mow the Right Way – Ideally, you should not cut more than 1/3 of the length of your grass blade. 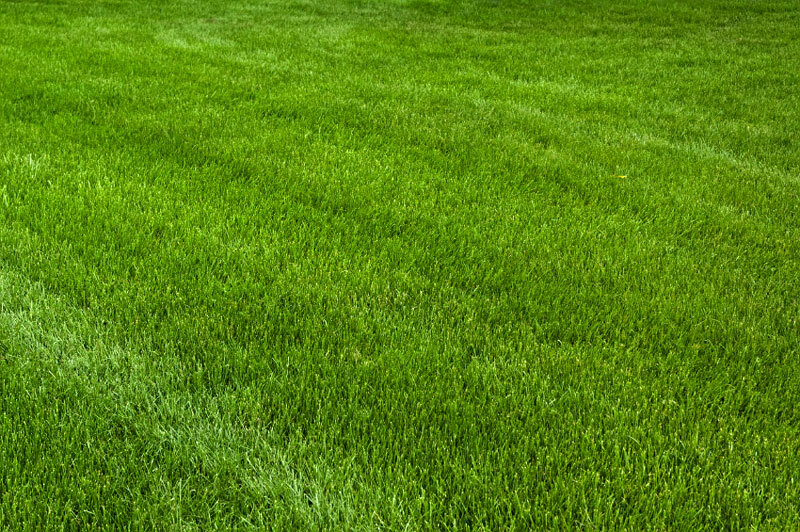 Your lawn will suffer from stress and it will take a longer time for it to regrow. • Take Care of Your Mower – Make sure that your mower’s blades are sharp. Dull lawnmower blades cut the grass irregularly, causing stress to the lawn. Lawns that are maintained by dull lawnmowers look sickly and patchy. Take care of your lawnmower, and it’ll take care of you. • Water Your Lawn The Right Way – Just like our hair, it’s all about hydration. Watering your lawn can be very tricky. On the average, your lawn needs up to two inches of water. This will ensure that the water reaches even the deepest roots. It’s also better to water your lawn deeper rather than more frequent. So deep watering your lawn every two to three days is more ideal than doing it a couple of times a day. • Control Pests, Plant Diseases, and Weeds – There are many known pests and plant diseases that may cause stress to your turf. Pests like grubs, cinch bugs, and web worms should be exterminated before laying a new turf; otherwise they’ll just thrive again. Weeds can also be a problem, as they take the nutrients that could have been consumed by your grass. Plant diseases like fungal infections can also make you lawn look poor. It’s always best to contact you lawn care specialist to consult in situations like these. • Get Your Turf Some Vitamin D – Plants need sunlight to grow. The problem with your turf is they’re too close to the ground, and the tree or other plants surrounding it may block any direct sunlight that your turf badly needs. Make sure your trees are properly pruned so they share the sun’s rays to your turf. • Choose The Best Soil – Soil condition is one of the factors to maintaining a healthy lawn. Use non-compacted soil for your turf. There are also vitamin-enriched soils available that can help your lawn look better. A little fertilizer will work as well. Another way to improve soil health is to add organic, nutrient-rich materials that’ll enrich the soil. This is a healthy and natural way to add nutrients to your lawn. • Consult The Pros – You still go to your favourite salon despite your best efforts to take care of your hair, right? Your lawn can also benefit from the years of wisdom a lawn care expert can give. Consult a specialist when it comes to lawn care maintenance. Mulching 101 – Which Mulch Is For you?